Gravel is a popular driveway surfacing material. It can be made up of lots of different types, sizes and colours of stone. Gravel suits a variety of property styles, and is a particularly popular choice for rural driveways. 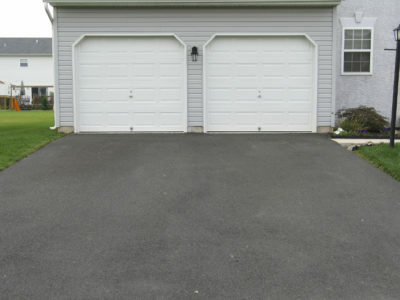 Many people choose a gravel driveway because it’s attractive and affordable. But is gravel the right driveway surfacing material for you? We’ve come up with a list of pros and cons to help you decide. Gravel driveways can last for a long time. If they are installed correctly and well-maintained, you can make them last for as long as you need. Gravel driveways are easy to repair. If the surface becomes uneven, you can use a shovel and a rake to level it out. If a hole develops you can simply buy some more gravel and fill it in yourself. Gravel driveways are inexpensive. They usually cost a lot less than other driveway materials, like concrete and paving. They are also relatively cheap to repair. Gravel driveways don’t take long to install. If you have a small driveway, a contractor can lay it in a day. You also don’t need to leave it to set or settle; you can use it straight away. Gravel driveways are very easy to customize. Gravel comes in lots of different shapes, sizes and colours. 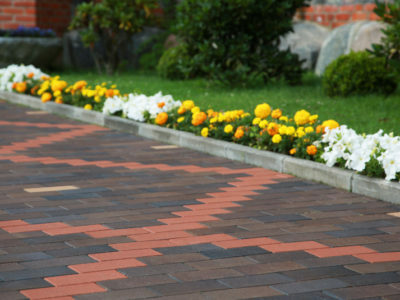 This means that you can easily create a driveway that is attractive and unique. 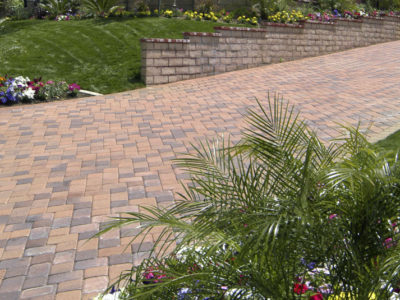 Many property owners choose to coordinate their driveways with their home. Gravel driveways are high maintenance. They can develop ruts and potholes easily, which look bad and can be hazardous. These need filling in quickly to ensure they don’t become a problem. Weeds can also grow on your gravel driveway. These can look scruffy, and need hoeing or manually pulling out. Gravel is not suitable for sloped driveways. It will collect at the bottom of your driveway and could spread into the road. This would be a safety hazard and look scruffy. It would also be difficult to walk and drive on. So gravel has a range of pros and cons. If you think gravel is the right choice for you, fill in our online form below. 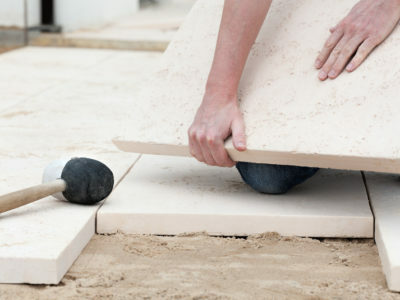 We’ll put you in touch with up to 4 local tradespeople, who’ll be able to give you a quote for a gravel driveway. If you’re still not sure, have a look at our information on other driveway surfacing materials, like asphalt, concrete and paving.